Have you ever wondered what it would be like if Miley Cyrus decided she wanted to resurrect Hannah Montana and create a special reunion episode? We know we sure have! (Especially since Miley's dramatic makeunderover would make the show that much more interesting). Plus, everyone has grown up so much in the past few years! Of course, Miley is slowly transforming back into her old self (she's officially retired from twerking), but where's the fun in that?! It'd be so hilarious to see the "Malibu" singer playing Miley Stewart with a seriously rebellious side — à la "Wrecking Ball" Miley. 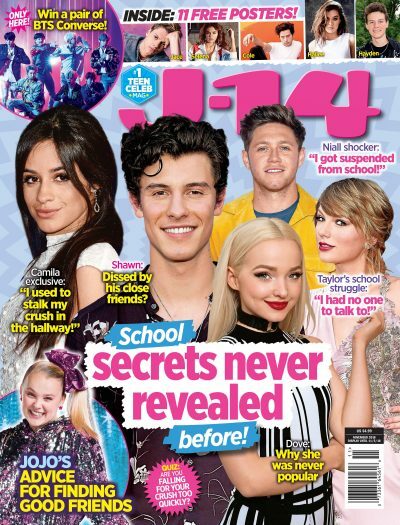 Plus, the rest of her former co-stars have ditched their squeaky clean images, too — we don't even know if Disney Channel could air the new and improved version of the show! Just for fun, we decided to create reunion episode promos for your favorite Disney Channel shows on Photoshop. Check out the pics to see what shows like Wizards of Waverly Place and Suite Life on Deck would look like now. This post was originally published on Sept. 2, 2014. Click the arrow to see what a Hannah Montana reunion episode would look like now. Click the arrow to see what a Sonny With a Chance reunion episode would look like now. Sonny With a Chance in 2014. Click the arrow to see what a Suite Life on Deck reunion episode would look like now. Suite Life on Deck in 2014. Click the arrow to see what a That's So Raven reunion episode would look like now. That's So Raven in 2014. Click the arrow to see what a Wizards of Waverly Place reunion episode would look like now. Wizards of Waverly Place in 2014.